What a journey this site is. It was on a real high in December earning over $4K, as expected the numbers has dropped some for January. But if the site keeps growing as it is, 2017 will be an exciting year but more on that later in this post. If you are new to this case study, let me tell you a little bit more about the site. Around two years ago, I was running into all these sites monetized with amazon. Some were making great money, some not so much. The truth was that I had stayed away from, the physical product giant, amazon for the longest time due to the low commissions. Something made me curious, though, was it possible to make some decent money with amazon? The best way to find out was to set up a site myself. I decided to turn it into a case study site so that you could follow along and see the income, traffic, ranking results, stats and more. It had to be based on an evergreen niche, I choose the health niche. The site had to be monetized with amazon. The site was created and has had an amazing journey so far. Why Do I Share the Numbers and Stats of this Site? There are a few reasons for this, but here are the two main ones. 1. To give you insight into what it really takes to run a website that makes money. You can go back and read older posts and see the progress of the site. 2. For myself to keep track and be accountable for the site. I look forward to putting all the information together at the beginning of each month. With that being said, let’s dive into the numbers for January 2017. How do I get traffic to the site? The number 1 way I get traffic to this site is through organic listings ranking in Google and other search engines. Submitting content on a regular basis is really starting to pay off. 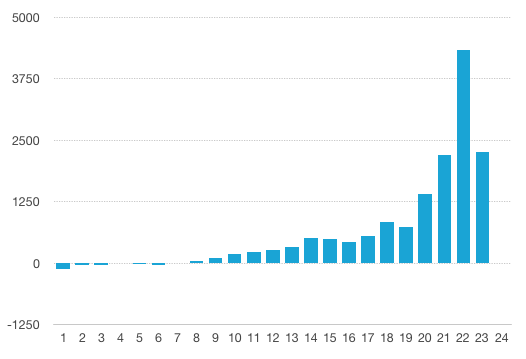 The average daily user count went from 656 in December to 550 in January. I can’t say that I’m surprised that January did not get the same traffic as December did. The Christmas season for sure adds to a spike in traffic for December. The one number that is dropping is the overall session duration. To get a better idea I take a look at the top 10 posts and pages and there I have an average time on page of 3.16. That’s good, that means that my visitors are reading the content and hopefully finds it helpful. For this site, I outsource most of the content. I want the site to be hands off and the best way for me to do that is to not worry about the writing. Right now I have 3 writers hired for this site. One wonderful field expert that writes the general health articles and two writers that are writing product reviews for me. I submit 2 general health articles weekly. These are helpful articles that are slightly keyword optimized. Most of these rank pretty well in the search engines and collectively they bring in some decent traffic. When suitable these point to the “top 10” articles. I also submit 1 in depth product review weekly. Right now I’m working on a new “top 10” category, so I need 10 in depth reviews to point to. This will be an all year around sub-niche. It’s low ticket items, but I’m hoping it will bring in traffic and sales for the summer months as well. Since the sub-niches that are getting most traffic right now are winter month related, I need to level things out with a few all year around sub-niches. Hiring writers allow for me to stay ahead of schedule. I run into a lot of marketers that are struggling to get this week’s work done, not even thinking of next week’s articles yet. With this site itsvicky.com, I’m the same way at times, since I write most of the content myself. It’s stressful. I rather stay ahead of schedule and have a few weeks of articles done. So right now beginning of February, I’m scheduling articles for March and April for my case study site. WHY I like staying ahead of schedule. If there’s ever any unexpected events that take you away from working on your site for a few weeks if you schedule ahead your site is still going strong putting out posts on a regular basis even though you are not available. Another reason could be that you can’t access your site. For whatever reason, techy issues can put your site on hold. About a year ago one of my other sites was hacked (don’t worry it’s all resolved) but it kept me out of my site for almost a month… Good thing was that the posts were scheduled and submitted a few times weekly like nothing happened. Scheduling kept that site going even when I couldn’t. 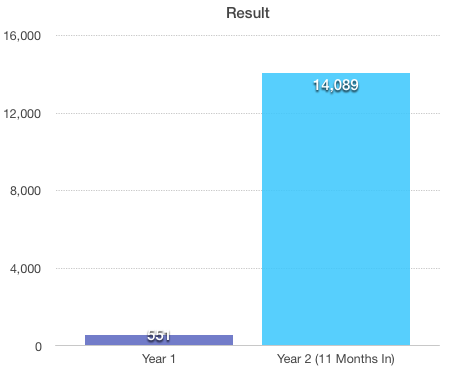 Let’s get back to the case study and the ranking results for January. When you build a site and one of your main traffic sources is organic traffic, it’s good to keep an eye on the ranking results. The new and lost keywords, the improved and declined keywords. Since 90% of the traffic for this site is organic, I want to make sure we’re going in the right direction, gaining and improving keyword rankings. I use SEMRush to check my keyword stats and rankings. A great tool, that gives you a great overview of your rankings. So even though it says February here, it must be January. Today is February 1 so wouldn’t find any stats for that yet. So looking at January, improved keywords and position rankings, is almost more important than the loss of traffic for this month compared to December. This means that the site keeps gaining Google rankings, position 1-3, which is exactly where we want to be. We have 20 more Top 3 Google positions in January than we did in December, and more than 1000 gained positions. I like the trend! When checking the rankings and positions I also check if there were a Google update that could have stirred up things and impacted the changes. In January we had one Google update (that I found). This update is to make the content more accessible for users on mobile devices. It looks at intrusive pop-ups and intrusive standalone interstitials. It looks at banner space coverage and more. I don’t think that any of these restrictions have affected the case study site in a negative way. Now when we know we gained some rankings, let’s take a look at the income report and sales results. Going into January I was aware that it would probably take a dip in both items ordered and commission earned compared to December, and unfortunately I was right. What it does make me excited about though is next holiday season, November and December 2017. Don’t get me wrong I’m not trying to rush things but the potential for this site is huge going forward and for that, I’m very excited. This is a drop, although expected, from December 2016. December had 1604 ordered items, this month we had half of that 795 items ordered. It’s understandable but it’s still a little disappointing. This site is on shared hosting, there for the low cost. This is the hosting I suggest if you are new, recommended hosting here. 2K more a year later, I’ll take it. Looking at the History What Will It Tell Us About the Future? I love playing with numbers. 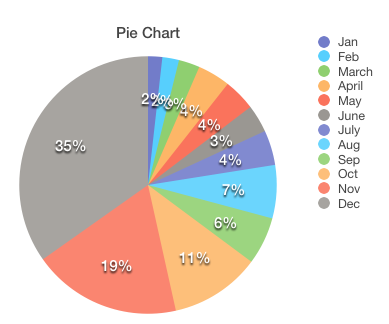 Looking at this pie chart for 2016, 2% of the annual result for the site was made in January. IF we have the same growth 2017 as we did 2016 that means this site could be doing a $100K this year. January 2017 we had a result of $2264.23 if that is 2% of the total annual result this year, that means a total result of over $100K. What’s your estimate for 2017? I could not do all this if it wasn’t for a few helpful tools. Exciting stuff going forward. Even though January could have been better looking at the pie chart in this post, I’m hoping the site will continue its growth in a similar way. Did you miss the related posts in this case study series? To a great February 2017! I am a huge fan of this case study due to the in-depth detail and stats. Really helpful for us knowledgable and eager newbies! 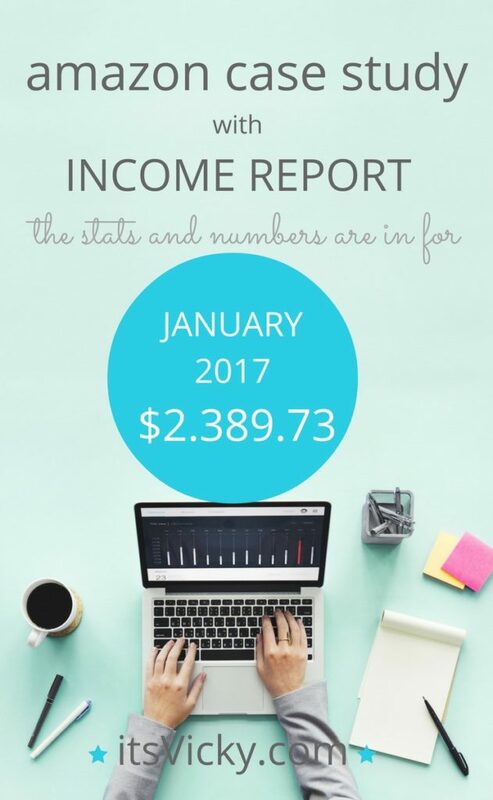 If Jan is 2% of my income, I am on the right track and pretty darn excited! I see your non review articles outsourced appearing to be very cheap, far less than what I am paying, which is not an issue as I am very happy with the work done. Are those articles that you get for $7 shorter 500/600 words or full 1,000 word articles? Thank you glad you like the case study! Do you have enough data from last year to see your own % numbers or is the site too new? If not go for the 2% estimate 🙂 it’s pretty exciting! The cheaper articles are my general articles of around 500 – 650 words. These often target long tail keywords and point to the top 10 pages or specific reviews. Keep up the great work Derek! 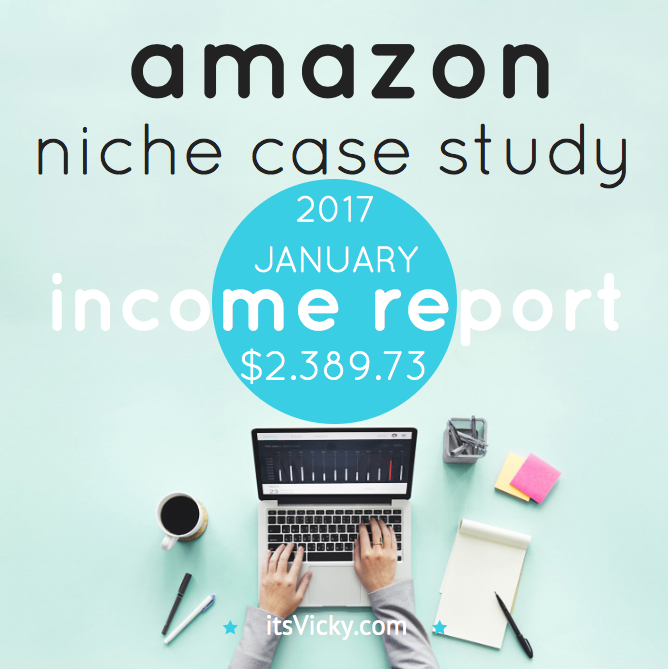 Vicky, My traffic increased with 15% in January and the income stayed the same as December. 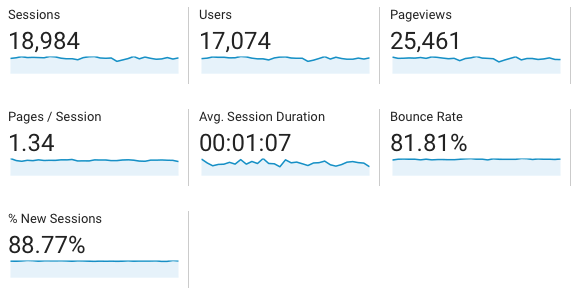 But for the first 2 days of February I notice a drop in traffic with 20%. Maybe is too early to say. When you write a 10 best article do you point the products to reviews on your website or directly to amazon products? That’s great numbers for January, congratulations. I saw that last year with my site as well, so for newer sites this is not uncommon. I wouldn’t be too concerned with two days but if the trend continues, you will want to find out what’s going on. When I write my top 10 articles I point them to in depth review articles on my site. But I usually have a link to amazon as well. So at the end of listing 1 for example I give them an option of “read in depth review” or “view on amazon” for example. For what it is worth I have noticed a much larger drop this month around 30% but more interestingly the traffic is much better. Staying longer on site and reading more pages on average. Sales are up slightly also. My guess more targeted traffic. Sometimes when numbers are down other factors may counter balance that. Thanks for sharing this case study. It’s really interesting that you’re using freelance writers. English is my third language, so writing content for myself would be very challenging. Usually writers at Upwork would charge more than $12.50 for a 1000 word review/article. Can you really get quality content with such a low budget? You have to be very picky when you hire though. Know what you want, don’t settle for the first one but try different writers. I’ve gone through a lot of writers and when you find a good one KEEP him or her! I have another site that I’ve had real issues with finding good writers. I posted the same job probably 10 times without finding a great writer. This last time I got 4 really good quality writers… I just kept all of them. About doing 100k this year I’m in the same boat, in January 2016 I did exactly 2% from all 2016 but really I cant think that in january 2018 would be the same for January 2017. This mean that we need to do 70k in November and December which is hard too believe. We know that November and December definitely are great months to be an Amazon Associate. Keep working on your site, kick it up a notch and that holiday season will be very exciting. I studied how many articles I published in 2016 (almost 120), but also those in 2015 because I think those rank now. So it’s clear that I have to publish more articles which target low competition keyword. These need to be on first page in G in 2 months at most.